We absolutely loved the conference, and wished everyone could have experienced the great sessions on how to improve our sewing expertise. It was inspirational to spend a whole day learning couture techniques live and in person with Susan Khalje. She makes sewing seem so easy. So hopefully you will see me in the “speaking fabric” shirt next month.Here is a picture of us with the true Couture expert herself, Susan Khalje. 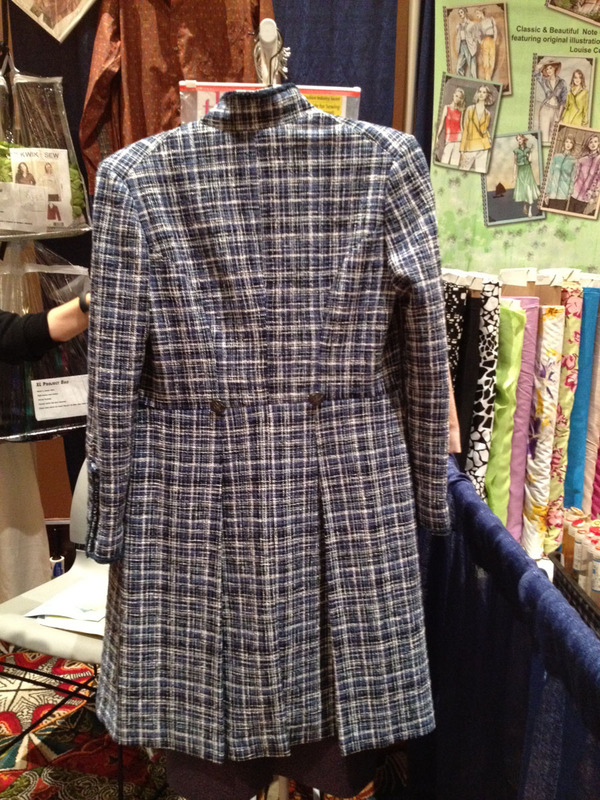 Happy sewing – I know I’m lovin’ it! This was my first time attending ASG conference. Had a great time, took some great classes. The teachers were excellent and I met a lot of nice people. Can’t wait to try out the techniques I learned. If you ever have the opportunity to go to conference, DON’T WALK, — RUN!!! Conference is so much fun. It is like ETA on steroids. I have had the privilege of going the last 3 years and saw many friends I had met before. Carol Hamilton and her sister make it an annual ritual. 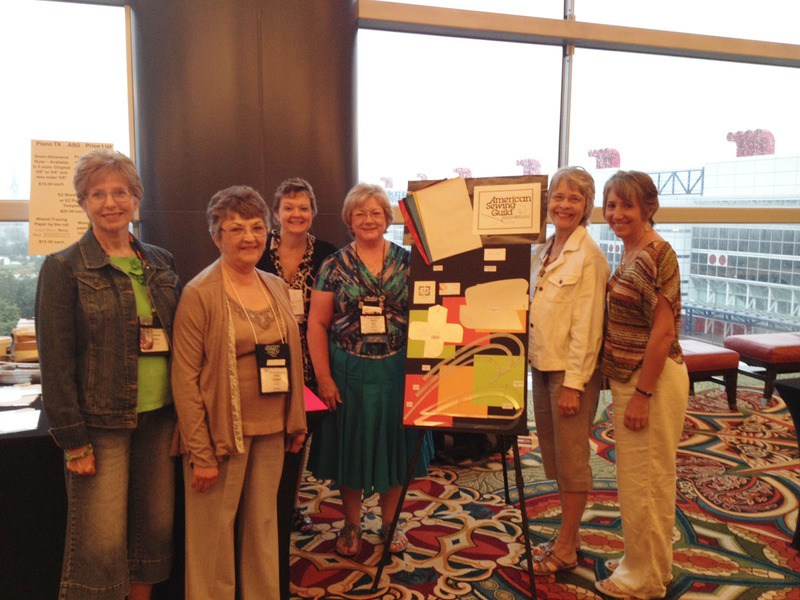 We were represented by Carol, Debby Bowles, Pam Walker, Markita Gumble, Brenda Toub, T J Tamny, and a new member who joined just so she could go to conference, Karen Neal. 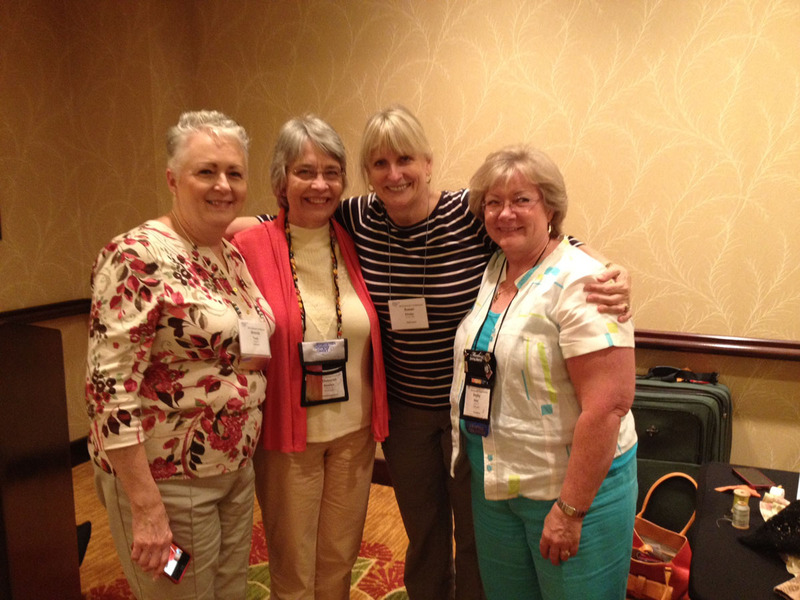 There is an ASG blog with pictures from conference. 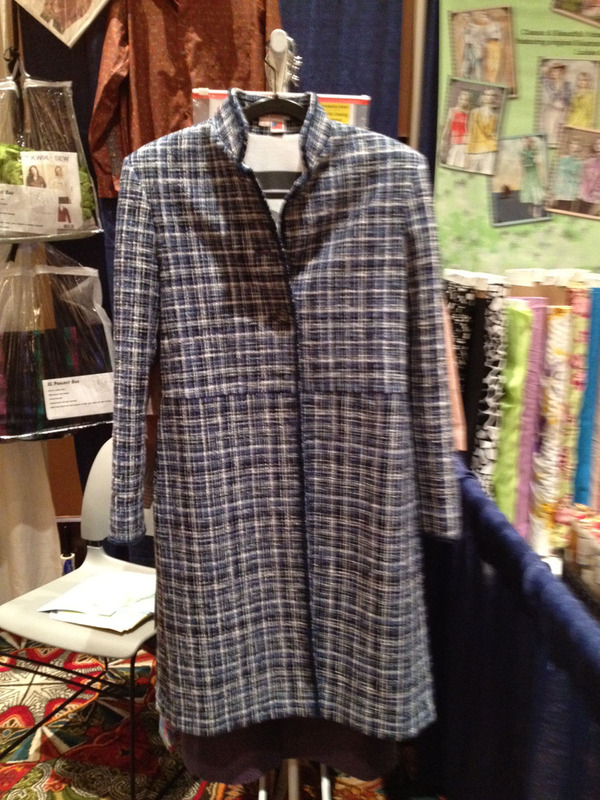 Visit the American Sewing Guild on Facebook for some videos of the style show and a slide show of other pictures from Haute Houston ASG Conference 2012. 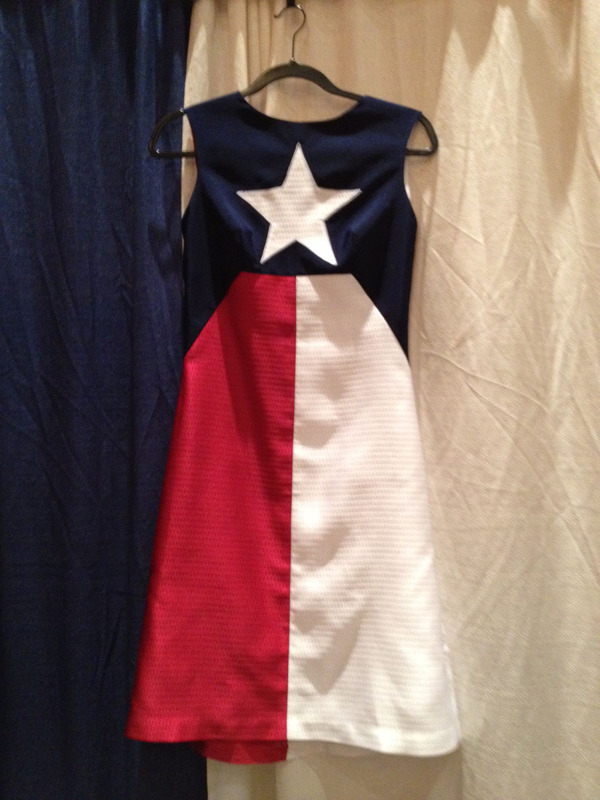 In the fashion show video keep watching until the very end and look for the “Texas Flag” dress by Jacqui Goldsmith. 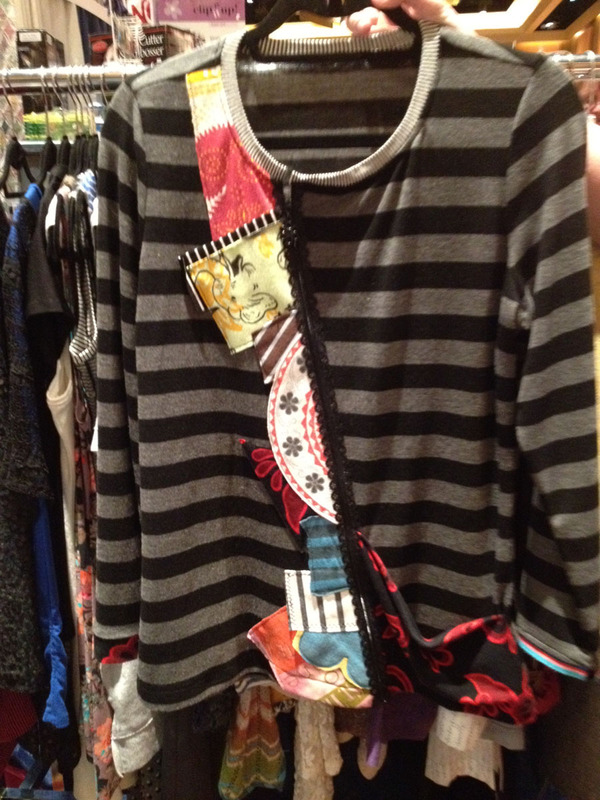 There are many more pictures from conference in a folder under the program from the style show. 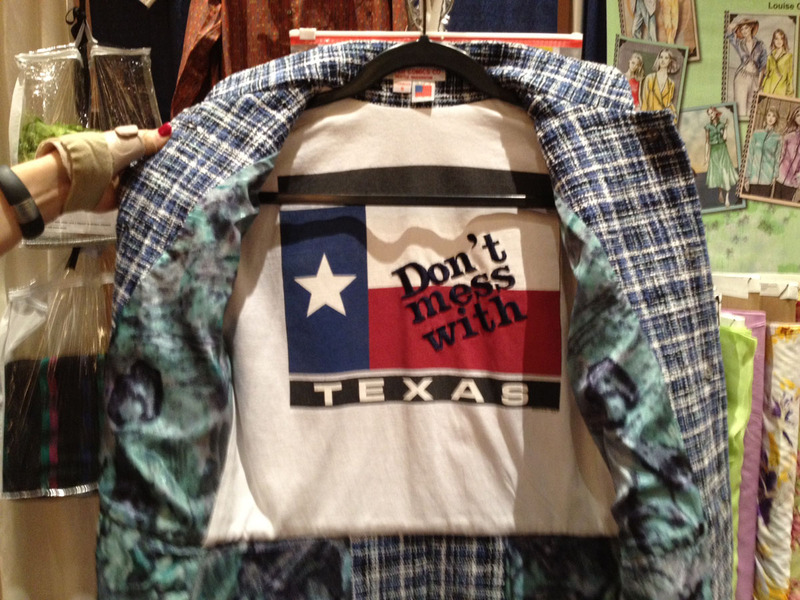 Look through and maybe you can spot two of our Plano members in the vendor hall doing some major shopping. There is even a picture of our Plano Chapter fundraising booth. 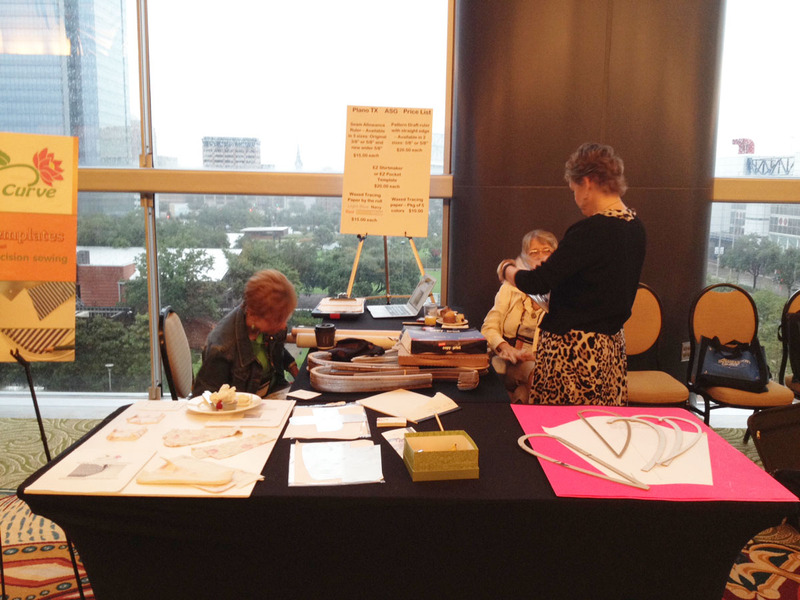 Our Plano Chapter had a fund raising table. We sold the SA Curve rulers, Pocket Templates, and Collar Templates that were designed by Lora Simmons of Fabrique and are marketed by one of our members, Claire Tharp. You can see the products on Claire’s website. We also sold the good quality waxed color transfer paper. Our chapter did very well in our booth. We will be using the proceeds to supplement bringing in national speakers/teachers for our Chapter. Being able to present special programs is one way to help our ASG Chapter grow and meet the challenge we have been given of making the “Growth Chapter of the Year Award” a “3-fer” and remain the fastest growing ASG Chapter. Congratulations to all of our Plano ASG members!! !